So I just barely discovered how much I love curry, I’m a little behind the times, but now I am obsessed! Why didn’t anyone tell me how good it is? Okay, I think some of you did, but for some reason I didn’t listen. Now I’m a crazy curry lady and I have been throwing it in everything I can! This curry recipe has been one of my very favorites. If you have some shredded chicken in your fridge then this recipe only takes 20 minutes. 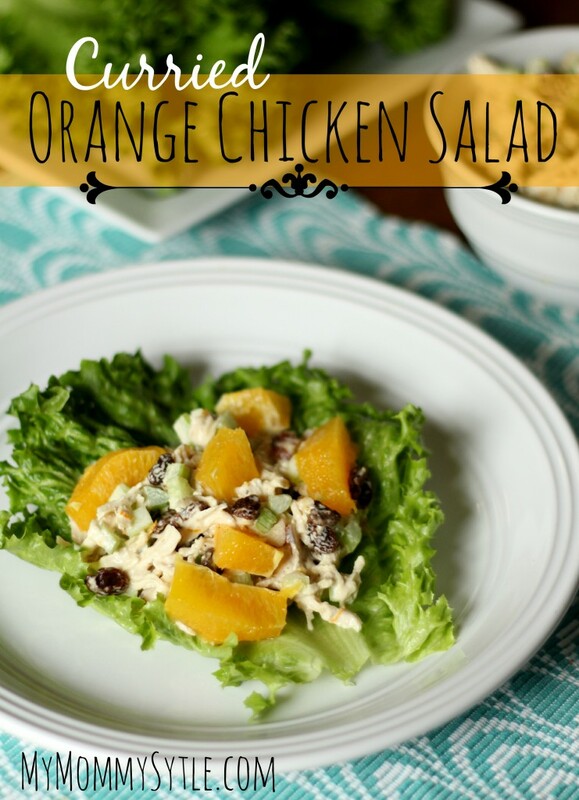 If you happen to have any of this salad leftover don’t throw it out because it tastes even better the next day! In fact, this is an easy dish to prepare ahead of time. Just leave the almonds and oranges out until you are ready to serve. I hope you enjoy this one! In a medium bowl combine chicken, celery, raisins, and almonds. In a small bowl stir together mayonnaise, yogurt, orange peel, orange juice, curry paste, pepper, and salt. Add to chicken mixture, toss to coat. Divide lettuce leaves among plates. 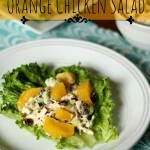 Top lettuce with chicken mixture and orange sections.